Subscribe to get weekly updates, deals and more! If you can look past its touch controls, the JBL Endurance Peak is a great balance of price, longevity, and audio quality amongst fully wireless earbuds. A couple of weeks ago, Apple released iOS 12.2 and with that update Apple suddenly allowed Logitech's Crayon to work with some of Apple's iPad Pro lineup, so today let's take a look at whether you should buy the more expensive Apple Pencil 2, or maybe you'd be better off with the more affordable Logitech Crayon. Apple has reached the third round of developer betas in its current cycle, offering up new builds of iOS 12.3, tvOS 12.3, watchOS 5.2.1, and macOS 10.14.5 up for testing by program participants, as well as a second build for the third-generation Apple TV software version 7.3. Sony has revealed its lineup of smart televisions it will be shipping in the spring and summer, with the range including support for both AirPlay 2 and HomeKit, enabling the televisions to stream content from Apple's device ecosystem and take advantage of the company's smart home framework. After cancelling launch events in China, Samsung has confirmed that is has delayed the U.S. Galaxy Fold smartphone debut until further notice, and is promising changes to make the screen stronger. Apple CEO Tim Cook has marked Earth Day by highlighting four environmentally-themed photographs as part of the company's ongoing "Shot on iPhone" social media campaign, with all of the images of animals and plant life taken using an iPhone. Amazon-owned Woot is having a flash sale on Apple Certified Refurbished 12.9-inch iPad Pros (Mid 2017), delivering a $250 discount on the tablets with a 1-year Apple warranty. Apple is one of the biggest customers of Amazon Web Services, it has been revealed, with the iPhone maker allegedly spending in excess of $30 million per month in order to enable services like iCloud to function reliably and at scale via the retailer's network of servers. Bowers & Wilkins has launched its Formation Suite of wireless audio products, a collection of wireless speakers that offer high performance sound at the same time as simplified synchronization between outputs, as well as support fro Apple's AirPlay 2 protocol. Apple analyst Ming-Chi Kuo has thrown his hat into the ring in regards to iPhone 5G predictions, and also suspects that it will be released in the second half of 2020, and it will have a big impact on sales. Apple is working with Conservation International to protect and restore a 27,000-acre mangrove forest in Cispata Bay, Colombia, in a bid to preserve a slowly disappearing part of the ecosystem. Philosopher and Apple Distinguished Senior Fellow Joshua Cohen joined the faculty of Apple University in 2011. Despite occasional outside lectures, though, his work is kept confidential, and Apple reportedly refuses permission for him to be interviewed. 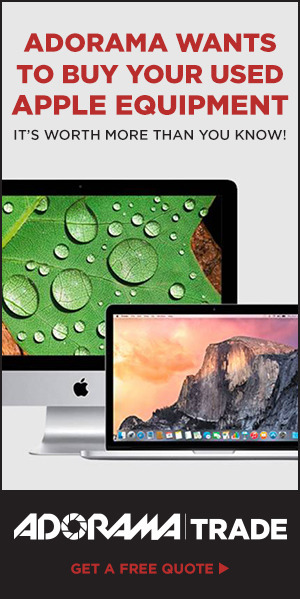 Extended for a limited time only, Apple authorized reseller Adorama is knocking hundreds off quad-core Mid 2018 13-inch MacBook Pros, as well as six-core 15-inch MacBook Pros with our exclusive coupon. These discounts are on top of Apple's recent price drops on 2TB and 4TB models, potentially savings shoppers up to $700 compared to Q1 pricing. Apple has been handed a defeat in court by watch producer Swatch in court for a second time in a month, as the iPhone producer failed to convince the Australian Trade Marks Office that Swatch should be denied a trademark for "One More Thing," a phrase synonymous with Apple events and Steve Jobs. Struggling retail chain JCPenney has intentionally dropped support for Apple Pay and all other contactless payments sources from all vendors, at least for the time being. The Apple authorized reseller has dropped 2018 iPad Pro prices by an additional $25 to $50, with popular 11-inch iPad Pro models starting at an all-time low of $649.99 (and total discounts of up to $200 off). EditorialEditorial: Could Apple's lock on premium luxury be eclipsed by an era of good-enough gear? Across decades, Apple has developed its reputation for selling luxurious electronics with both a premium price and elevated expectations. But Apple's attention to detail means it's not often a trailblazer. Could the profits that are currently driving Apple at some point shift to instead support vendors like Samsung and Huawei who offer cheaper access to new tech faster, in a sloppier but "good enough" beta technology form? San Francisco Bay Area Apple Store thefts restart, plus iPhone thefts around the world including one in which the thieves came back to ask for the passcode, and another by a man who had gotten out of jail moments earlier — all on the Apple Crime Blotter. A pair of images of an "iPhone XI" dummy for manufacturing purposes purports to show accurate dimensions of the 2019 iPhone lineup, including a square camera extrusion. You can record your podcast on your iPhone, but what you might not be able to do so easily is make sure that the audio sounds good. Buying a broadcast-quality microphone or a separate audio recorder can bring your podcasting up a level, and there is some hardware that we like. Though in its court battles Apple argued that Qualcomm patents weren't any more valuable than those of companies like Ericsson and Huawei, in private the company praised them — and was aiming to sue Qualcomm as far back as 2014, according to newly-exposed documents. The ability to just raise your wrist and speak to your Apple Watch without the words "Hey, Siri," is brilliant. What was initially a convenience is now increasingly useful, too, and yet it's extraordinarily unreliable. Here's how to make it better — and why you need it to. 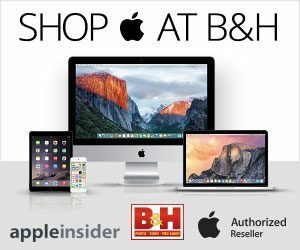 With Apple's new iPad Air, iPad mini and 2019 iMac now in the hands of consumers, it's time to free up some spending money for new accessories and trade in your pre-owned hardware for cash. We've rounded up the best deals — many with exclusive bonuses — when you trade in an iPhone, iPad, MacBook Pro or even AirPods. There are endless options when it comes to external storage, but getting the right one for you can be a tough task. If you're looking for a quick, on-the-go SSD, the G-Technology Mobile Pro SSD may be perfectly suited. Siri Shortcuts, iOS' automation service, could make an appearance in macOS in the update to version 10.15, with the claim it and Screen Time will be among the functions transferred over from iOS at the 2019 World Wide Developer's Conference. Apple is continuing to flesh out the management for its original video efforts, by installing former Lionsgate EVP Danielle DePalma as a Senior Film and TV Series Marketing executive to promote Apple TV+ and other content available from from the company. This week on the AppleInsider Podcast, William and Victor close the books on the Qualcomm suit, Samsung has problems with a folding phone, and Facebook steals contacts from 1.5M people. Foxconn has responded to recent criticisms of its missed deadlines in Wisconsin, and says that it is in the state for the long haul and will eventually hit its targets. Google is giving owners of its Google Home smart speaker range free access to YouTube Music, with the ad-supported music streaming service arriving at the same time as Amazon's free variant launched for the Echo device range, in a bid to keep users from subscribing to Apple Music or Spotify. AirPlay 2 is a small but important addition to Apple's audio world, allowing sound on multiple devices simultaneously. Here's a list of the compatible speakers and receivers promised so far, and where available, the dates AirPlay 2 support is expected. Updated on April 19 with announcements by Bose. As part of its environmental press barrage on Thursday, Apple hosted a talk at Apple Park featuring actors/musicians Will, Jada, and Jaden Smith. In a rare move for an Apple executive, new retail head Deirdre O'Brien has joined Instagram, inaugurating her account with a handful of photos from a worldwide business tour. Amazon and Google on Thursday announced plans to bury a long-standing feud, the main consequence being the return of YouTube to Amazon's Fire TV platform. Clayton and Crume craft some amazing leather goods, and now they have turned their talents to their new line of Apple Watch bands. Amazon is attempting to attract customers in the United States yet to sign up for Amazon Prime or Amazon Music Unlimited to use its music streaming service instead of using Apple Music or Spotify, by providing access to a selection of tracks on its Echo range or other Alexa-enabled devices. Facebook has admitted its major security breach from March where the social network stored "hundreds of millions" of plain-text passwords on internal servers was worse than first thought for users of Instagram, advising it may have affected millions of accounts on the image-sharing service and not the "tens of thousands" it initially reported. After initially selling out, Walmart has the 38mm Apple Watch Series 3 back in stock for $199. That's an $80 discount on the GPS model, and the lowest price we've seen to date. High-end Apple Watch styles are also up to $450 off, while 2018 MacBook Airs just received a $200 price drop (and 15-inch MacBook Pros are $400 off) at Amazon. The iPhone was the most popular smartphone bought in the United States, according to figures produced by CIRP, with Apple narrowly beating Samsung for market share in the first quarter of 2019, suggesting Apple may see an improvement on its sales in its upcoming financial results. From the outside, you'd be hard-pressed to spot the difference between an iPad mini 4 from an iPad mini 5. But, internally, there are quite a few differences that really separate Apple's previous mini from the newest. AppleInsider goes deep, highlighting all the changes from the previous iPad mini fourth-generation to the powerful 2019 model. Editorial: Why is Samsung's Galaxy Fold graded on a curve? With AirPower dead, what does the future hold for Apple's wireless charging tech?